Nearly 400,000 Kentuckians had their Medicaid dental and vision benefits restored on Thursday night following their coverage being cut in early July after a judge rejected Gov. Matt Bevin's plan to overhaul the state's Medicaid program, reports the Associated Press. 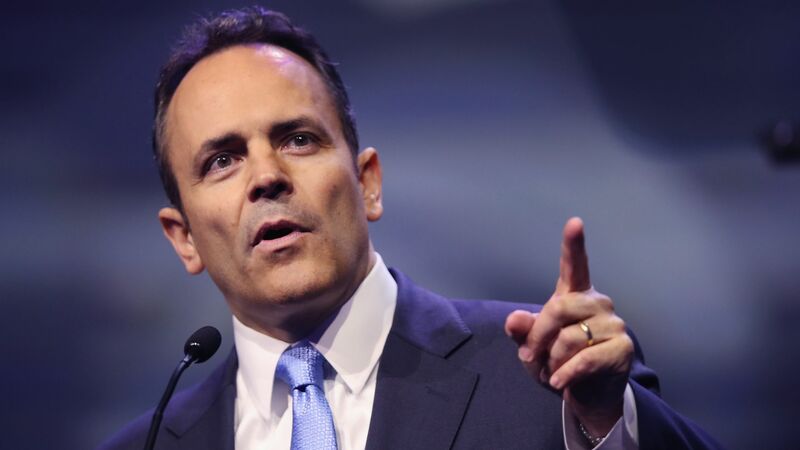 Our thought bubble: Bevin has shown no hesitation about putting real-world Medicaid coverage on the table as part of the broader legal debate. He cut off medical and dental benefits after a judge blocked the state's work requirements, reinstating them only after the federal government took another crack at work requirements. And he has said he'll pull out of the ACA's Medicaid expansion entirely if the legal challenges to work rules ultimately succeed. Go deeper: The Kentucky Medicaid ruling is a setback for Trump.